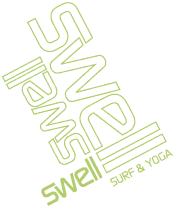 Clare and Jim have really created a heaven on earth with Swell! Having now also read the reviews preceding ours it is difficult to add anything new. The 200 plus reviews accurately describe Swell, its atmosphere and your future stay there! My sister and I decided to stay in the dorm room-we had the whole place to ourselves the whole week however had there been 2 more people it would not have made our stay less comfortable. The whole camp and rooms look exactly like on the pictures. The place is kept very clean and the food is amazing. There is 24 hour security on site and reliable transportation by the ever-friendly Michele. Ed, Neno and Paloma were the coolest kids in town- enthusiastic and patient surf instructors, and awesome company. Haudy, the manager, was extremely helpful in organizing everything on the spot seamlessly. Molly made us feel like yoga superstars and encouraged us to challenge ourselves further. Overall, the type of people this camp appears to attract as well as the staff guarantees a one-of-a-kind fun social experience. We had never surfed before and found this camp excellent for learning to surf. Definitely planning to return!